I have had four precious babies of my own, and I can't even begin to tell you how much less stressful your life is as a new mom when you know your little one is safe. But why dedicate an entire e-book to safety in the nursery alone? Well, because your baby will spend around 70% or more of her time in this room during her first year. And, because the nursery is the only room in the house where your baby will be left unattended, so it requires special attention when it comes to baby proofing. This is one place where almost perfect just doesn't cut it. Your baby's nursery has to be absolutely 150% safe! How To Protect Your Baby In The Nursery will help you to achieve safety in your baby nursery quickly and easily. "If you're expecting a new baby How To Protect Your Baby In The Nursery is a must-have on your bookshelf!" Start baby proofing your little one's room today! I just wanted to say a huge thanks for your wonderfully comprehensive checklist. It's exactly what I was looking for. Using it to set up Brandon's nursery has given me so much peace of mind! I'm so glad I found it. Thanks again!" This baby nursery e-book was concise and provided me with the necessary safety information that I was looking for. I know that some e-books tend to drag on just to fill space. But not this one. It went straight to the facts, and that's exactly what a busy business professional like myself really needs. I don't have time to read long parenting books or spend countless hours examining conflicting internet content. That's why I'm very happy with this investment - it's worth every penny. Taking the time now to create an environment to protect your baby from harm will make your life so much easier later on. No mother wants to put her precious baby in harm's way. Babies and toddlers are so completely dependent on us for their care. Next to feeding, a mother's most important job is to make sure that her baby grows up in a safe environment. Almost all nursery accidents can be avoided if your nursery is set up correctly. Seeing your own baby in pain after an accident is one of the most heart wrenching things you will ever experience, especially if you know the accident could have been avoided. A little thought and planning now will ensure that your baby is secure in the safety of her nursery room when your hands can't be there to hold her. Make no mistake, relaxation doesn't come easily to a first time mom, but the more relaxed you are, the more relaxed your baby will be. Stressed out moms make for fretful babies, which make for even more stressed out moms. You don't have to fall victim to the never-ending cycle of stress and worry faced by many well-meaning mothers. Create a safe-haven for your baby, leave him there once in a while and relax knowing that he is perfectly safe. Know this: rest will be in short supply during the first few months of your new life with baby. You need to grab it while you can. Don't rob yourself of even a few minutes of precious sleep by worrying about whether or not your baby is safe. You need to know that you've done everything you can to protect your baby in the nursery and get some rest while she does. Can you imagine not being able to go to the bathroom, talk on the phone, hang out the laundry, take a bath or eat a sandwich in peace? These and hundreds of other mundane, daily necessities become unbearably difficult if you cannot leave your baby somewhere safe for a few minutes while you get them done. I know plenty of moms who take their baby to the bathroom with them. They sit and do their thing with baby on their lap - every time - for months! Can you imagine? I just left my babies in the crib. I gave them a favorite toy to play with and left them for a few minutes. They were perfectly safe and happy. If you can't leave your baby alone for a few minutes every now and again, you really will start to go insane! Babies are masters at picking up on the emotions of their mothers. If you can't relax, if you can't rest, neither will your baby. And you will be at the beginning of a repeating cycle that can take months to break. Take my advice and start out the way you intend to continue. Make sure that your baby knows it's OK for him to be in his own space sometimes. It will give him a sense of security, prevent over-stimulation and help him sleep better - all great bonuses! All four of my babies slept through from eight weeks, (true - I swear!) and I am convinced it was because they were in a relaxed structured environment. "I just have to tell you what a blessing it's been to know that my Amy is completely safe in her baby room. Whenever I need a few minutes to get things done I know I can leave her in her cot without worrying about her. It's been a life-saver for me - Thanks so much!" "I don't know how my first child survived to the ripe age of five, because I hadn't thought of half of the information contained in this e-book until I read it! Happily I read it just in time for number two. Well worth a read to consider all the risks your baby may be exposed to, and to do an assessment of how well you're equipped for them." "If you learn how to protect your baby in the nursery you can have all of this and more!" Because, if you can relax, rest and have a few minutes to yourself when you need them, you will be able to enjoy your new baby to the full. Every precious smile, every gurgling giggle. Those first few months go by so fast, what could be worth more than the opportunity to make the most of them? Get the peace of mind you need today! "I'm so glad I finally found your e-book! I've been carrying Calvin around everywhere with me for months - I'm exhausted! He doesn't sleep much so I haven't been getting much rest either. But since fixing up my baby room using your checklist I have been able to leave him to play in his cot even if he doesn't want to sleep. He occupies himself long enough for me to catch a quick 20 minute nap every now and then. As a new mom I thought I had to be there with my baby every second that he was awake. Now I realise that it's OK to give myself a break when I need it. It's made me a better mom and Calvin seems happier too!" You will learn how to protect your baby in the nursery on a daily basis. You will know what safety hazards to look out for and how to fix them. Each chapter of How To Protect Your Baby In The Nursery zeros in on one specific aspect of infant safety in your baby's room. I believe this 38 page e-book covers everything you need to know to set up your nursery in the safest possible way, and it includes material that I have not seen anywhere else. To the best of my knowledge How To Protect Your Baby In The Nursery is the most comprehensive nursery safety checklist currently available. All the information you need to get your nursery ship-shape and safe for baby! Bottom line: How To Protect Your Baby In The Nursery guides you through the infant safety maze giving you the peace of mind you need to enjoy every precious moment with your baby, and it's available for instant download! Get your nursery safe for your little one today! 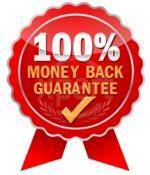 A 100% unconditional 60 day money back guarantee! All priceless gifts if you're a brand new mom! Cheap Baby Nursery Decorating Ideas - Over 60 money-saving nursery decorating ideas. 30 Top Tips for Decorating Nursery Rooms - Pearls of wisdom accumulated over ten years of decorating baby rooms. Don't take chances - Get your nursery safe for your little one today! What happens once you click the download button? You are taken to a secure page where you can pay for the book via PayPal or credit card. Upon completion of payment you are directed to a secure download page where you can download How To Protect Your Baby In The Nursery plus your FREE bonus e-books. Within minutes you can be on your way to baby proofing your nursery room. Please note you need adobe reader to be able to download and use this eBook. If you have any trouble at all just contact me and I will be happy to help. My best wishes to you as you embark on the wonderful, lifelong journey of motherhood. PS. I am confident that you will find How To Protect Your Baby In The Nursery to be just what you are looking for. But should you really disagree, then I will refund you straight away. That's right. Your satisfaction is guaranteed. If at any time within sixty days from buying this eBook you decide that How To Protect Your Baby In The Nursery is not what you expected, then you just contact me and I return your money instantly, no questions asked. I finished up reading through your ebook and wow! I was impressed. There were things in there I didn't even consider. It's very thorough and it was very easy to go through. I like the checklists, too. I also liked all the pictures, they helped pull me through the guide. Thanks so much! Thank you so much for your eBook. I love it. There is so much great information provided - it really helped to open my eyes to all the hidden dangers in my nursery. 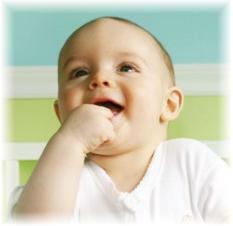 Don't delay - Act now to protect your baby in the nursery! Find out how to sell How To Protect Your Baby In The Nursery Here!